In An Introduction to Existential Coaching Yannick Jacob provides an accessible and practical overview of existential thought and its value for coaches and clients. Jacob begins with an introduction to coaching as a powerful tool for change, growth, understanding and transformation before exploring existential philosophy and how it may be integrated into coaching practice. 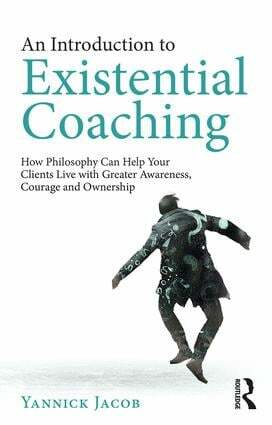 The book goes on to examine key themes in existentialism and how they show up in the coaching space, including practical models as well as their application to organisations and leadership. Jacob concludes by evaluating ethical dimensions of working existentially and offers guidance on how to establish an existential coaching practice, including how to gain clients and build relationships with strategic partners. With reflective questions, exercises, interventions and activities throughout, An Introduction to Existential Coaching will be invaluable for anyone wanting to live and work at greater depth or to succeed as an existential coach. Accessibly written and with a wide selection of references and resources, An Introduction to Existential Coaching is a vital guide for coaches in training as well as an inspiring addition to the repertoir of experienced practitioners. It serves academics and students to understand existential philosophy and allows professionals with coaching responsibilities to access more meaningful conversations.